Our Gompels Mini Jumbo Toilet Rolls are the perfect addition for bathrooms with medium-traffic or frequent visitors. Manufactured from a high-quality 2 ply paper, each soft toilet roll is compatible with our Gompels mini jumbo dispenser. The paper used can be easily torn at the point of requirement while staying compactly rolled up when not in use. For storage purposes, they are plastic wrapped in packs of 12 which can be stacked up and stored away - ensuring you always have the stock you need on hand. The durable cardboard core holds on to the rigid shape and reduce the risk of friction damage during use in our dispensers. These mini toilet rolls are compatible with our Mini Jumbo Toilet Tissue Dispenser in Brilliant White. 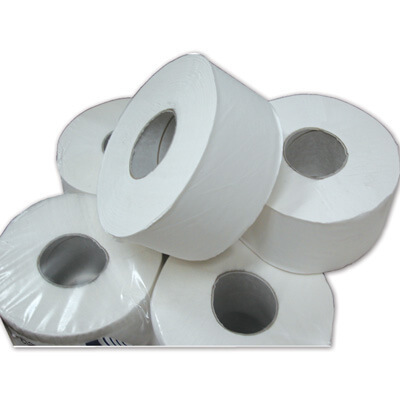 For high-traffic environments, why not consider our Jumbo Toilet Rolls - all available at exceptional wholesale prices.